Turnberry, a Luxury Collection Resort, has appointed a new Executive Chef. In his new role, Chef Munur Kara will oversee the development of the hotel’s renowned restaurants and bars. 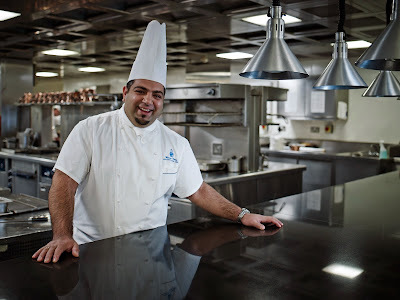 Munur Kara (pictured above and below) joins the resort from The Dorchester hotel in London where he was Head Chef of the busy Promenade Restaurant. Munur’s appointment at Turnberry sees him leading a team of over 50 associates at the award-winning resort and overseeing the operations of its six restaurants, including the hotel’s signature restaurant, 1906. The move is a return to Turnberry for Munur. He first worked at the resort in 2004 as a Senior Sous Chef, progressing over the following five years, before leaving for London and the position of Head Chef at The Royal Horseguards hotel. Munur is now working on creating new dishes for the forthcoming 2014 menus. He is also very keen to continue building on the success of the James Miller Room, the hotel’s intimate fine dining room which was awarded Gold Class status by the Sustainable Restaurant Association in 2012. Born and raised in the East end of London to Cypriot parents, Munur has worked through the ranks of some of London’s best hotels. Inspired by his father, also a chef, Munur’s early career was in restaurants and he chose to study food and beverage at college. During his studies he also worked at a local butcher. He spent five years with Wheelers Restaurant in Tower Bridge, followed by a move to Chamberlains Restaurant in London where he met Ralph Porciani, former Executive Chef of Turnberry and now Director of Operations at the Resort. Porciani recruited him to join Turnberry in 2004 where he stayed for five years, including working through two Open Championships, before a Head Chef position lured him back to London in 2009. His first Head Chef role was at The Royal Horseguards hotel in Whitehall where he developed the hotel’s main restaurant One Twenty One Two, delivering two AA Rosettes within seven months. After three years, he moved to one of London’s most luxurious hotels, The Dorchester, a role that brought the opportunity to cook for international VIPs, royalty and celebrities. 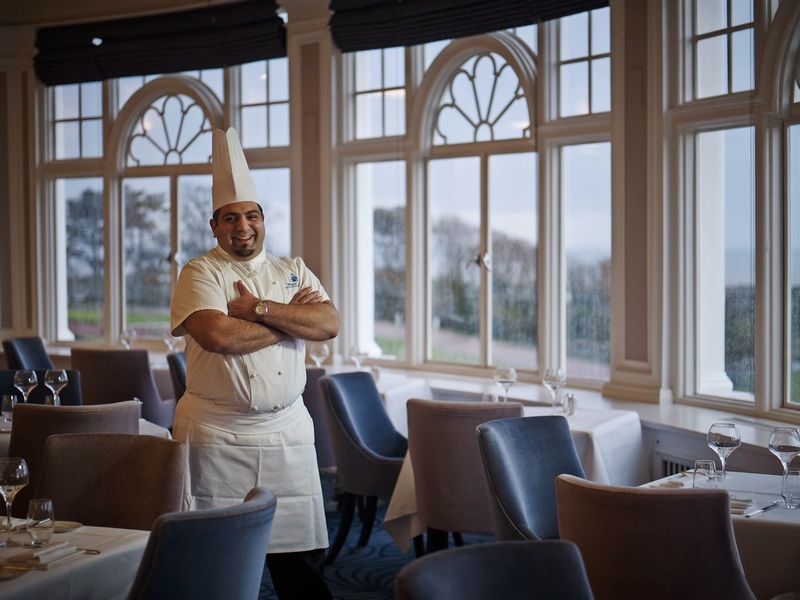 As Head Chef of the Promenade Restaurant, Munur managed a busy team, covering breakfast to supper and producing over 160 afternoon teas every day. 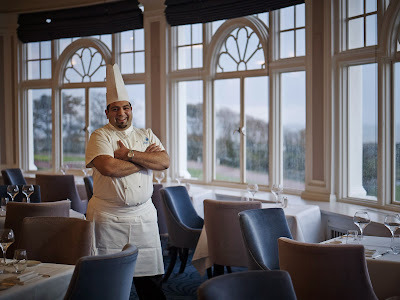 His return to Turnberry as Executive Chef in 2013 is an opportunity to bring his own style of cooking and leadership to the busy Turnberry kitchens and further develop the resort’s six restaurants and bars. More photos on Flickr. CLICK HERE.